As the temperature drops (here in the UK) we’re digging out the chunky jumpers and huddling over our bowls of hot soup. I LOVE getting warm and cosy when it’s cold outside! It’s so important for all of us to keep our joints and muscles mobile, especially us dancers. The good news is, it doesn’t take much to keep your dancing feeling good and looking fabulous during the unappealing chilly months. I’ll show you how easy it is in this week’s new style of express class. Join me for a speedy Fitness Pilates for Bellydancers sequence which will maintain your upper body posture and strength. No equipment needed and you hardly need any space! Why not stop what you’re doing right now and dive on in, it’s just short of 8 minutes so you’ll be done in a flash! I’d love to know what you thought of this Fitness Pilates for bellydancers express class. Be sure to leave a comment on the YouTube page and give it a thumbs up so I know you dig this kind of thing. 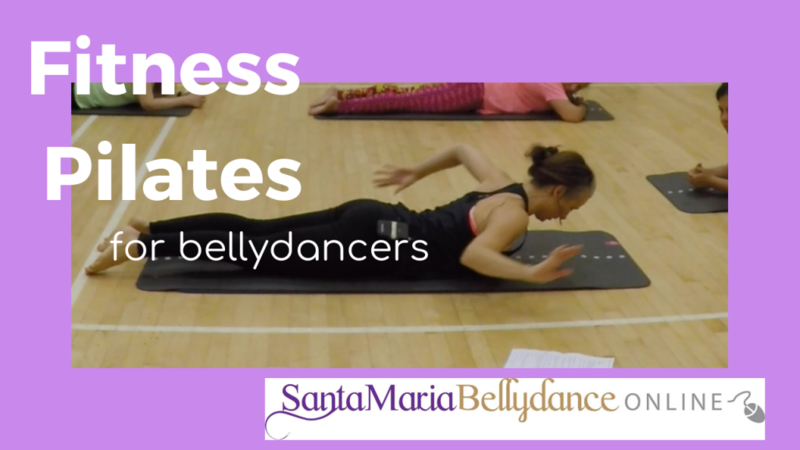 Tip  If you enjoyed this short class, I think you’ll love the full length Fitness Pilates for Bellydancers at SMB Online. Sign up today and get instant access! Wherever you learn bellydance and whoever you learn with, I wish you happy dancing! Get access to my full length, comprehensive classes, drills, choreography sequences, movement tutorials, technical preparation exercises at Santa Maria Bellydance Online. You can learn with me anywhere and any time you have internet connection at just £15 a month for the entire (growing) library. Go to www.santamariabellydanceonline.com to find out more and get started now! We now have our very own private, bonus SMB Online facebook support group where you can get bespoke feedback from me live-streamed! Free for all current SMBO subscribers.